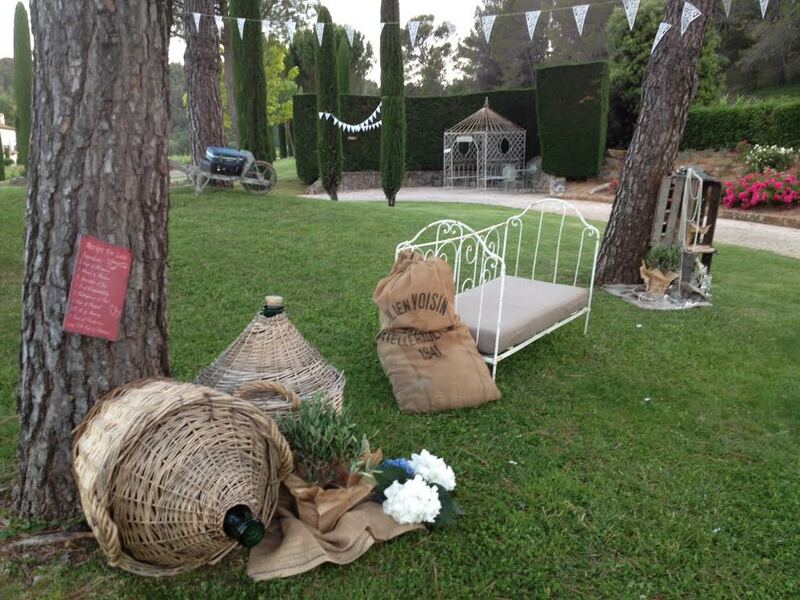 Dear brides and grooms to be and dear all readers, today, I would like to share with you pictures of an eclectic wedding our team planned 2 weeks ago in Provence. 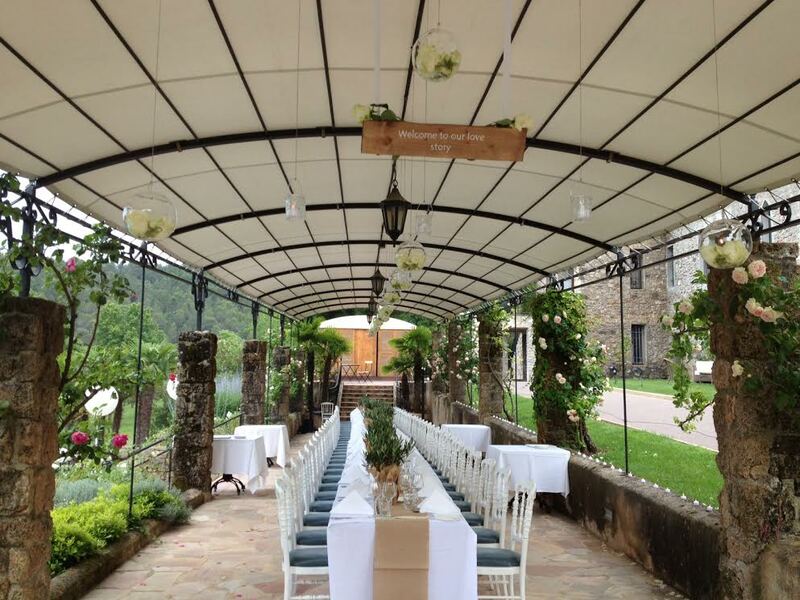 The venue first, is absolutely beautiful and we are offering a specific package called Lavender and vineyard wedding package. Secondly, the story of this couple is fantastic. The bride is from Colombia and the groom is British and French. They both live in London and they organised a civil wedding in Colombia before coming to France. 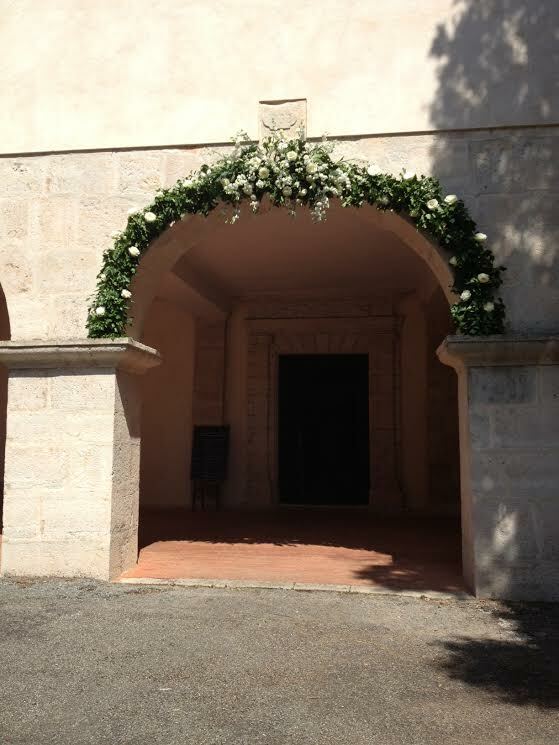 They chose Provence as they really want to have their religious wedding in a romantic place. The pictures are mine, as we don’t have received yet the pictures from the London based photographers. 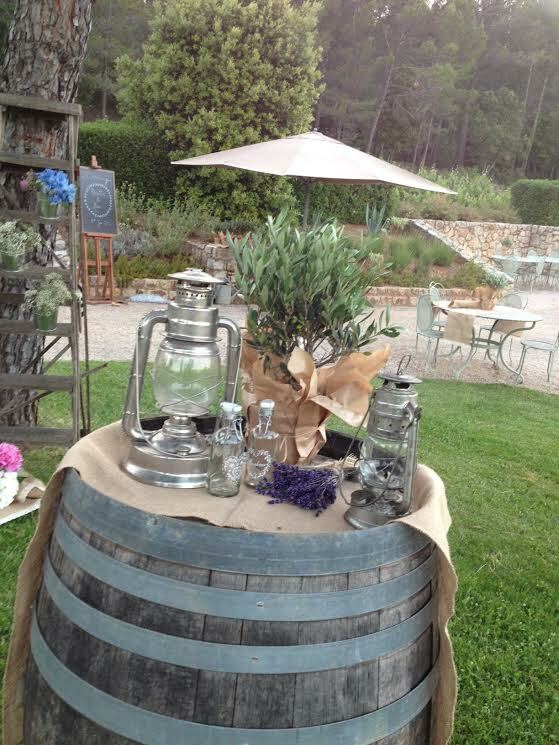 But I really wanted to share with you the spirit of this magical wedding in Provence. Thus, the guests were invited for 3 days of wedding. The first day started with a welcome diner. 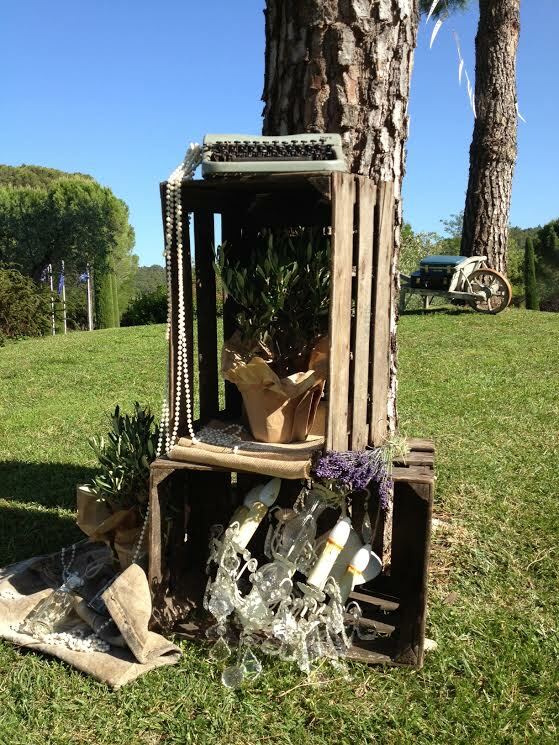 The bride collaborated with us to create a romantic decoration. 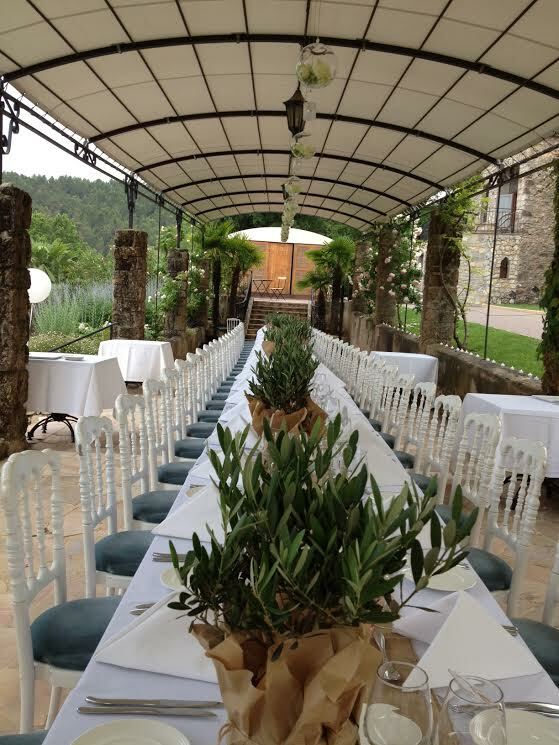 We wanted to make it very different from the second day and consequently, we decided to work with one long table and to give a very Provence spirit thanks to the olive trees and the runaway in linen. We also hang up balls of white roses and candles. 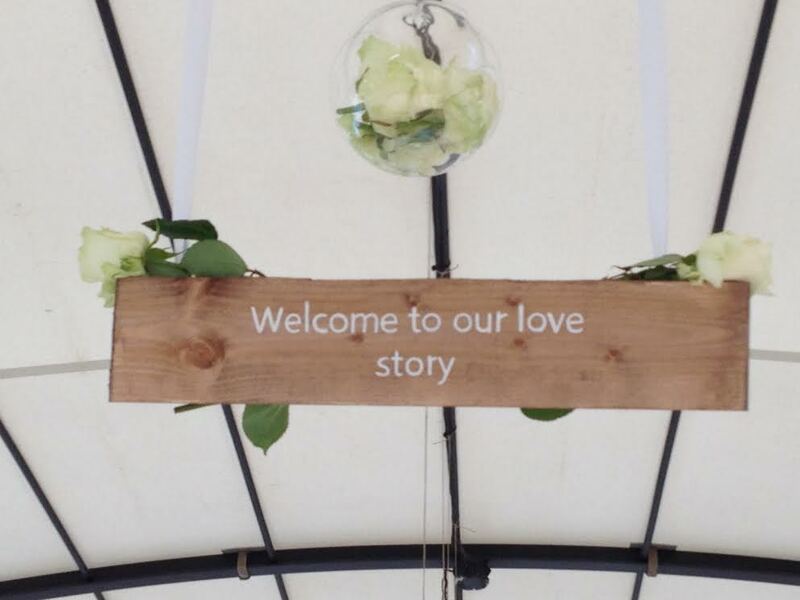 A wooden panel indicated « Welcome to our love story ». The day after was the wedding day itself. The bridal couple decided to mix cultures and started the day with a salsa class for the non-Colombian guests. 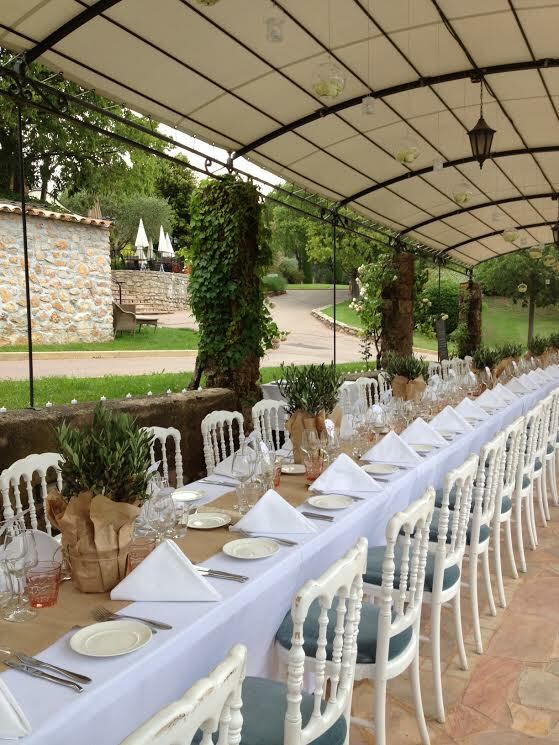 Then as some guests were French, and above all because we were in Provence, the groom planned a petanque competition with all the guests. 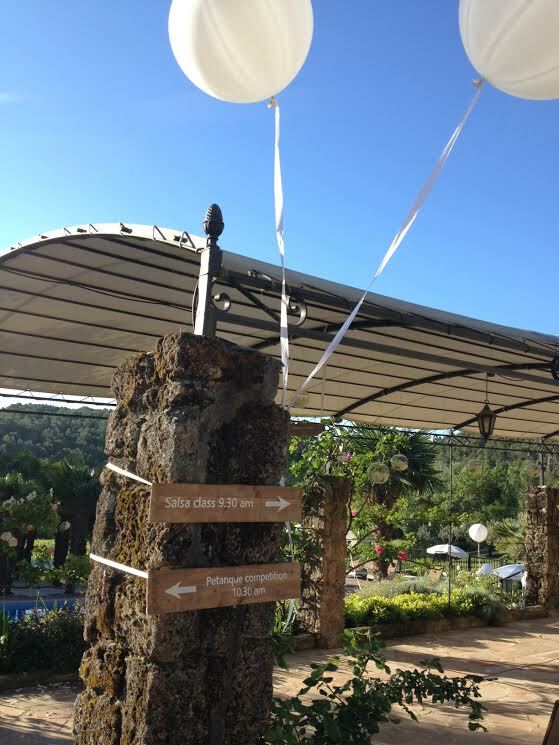 A free time was offered to all the guests to enjoy the venue, with the swimming pool and the spa, or simply to discover the surrondings and the charming village. A shuttle was at their disposal. Then, the religious ceremony started in the middle of the afternoon. It took place in the lovely ermitage near the village. 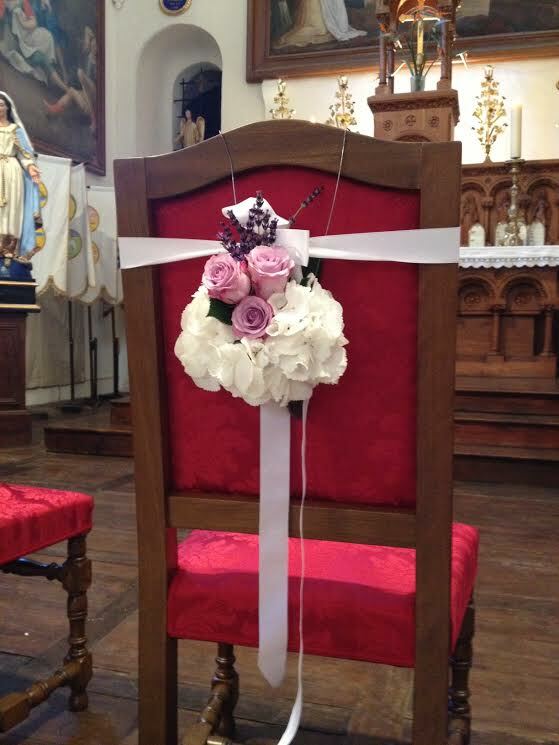 The florist decorated the entrance of the church, the alley and the chairs of the bridal couple. 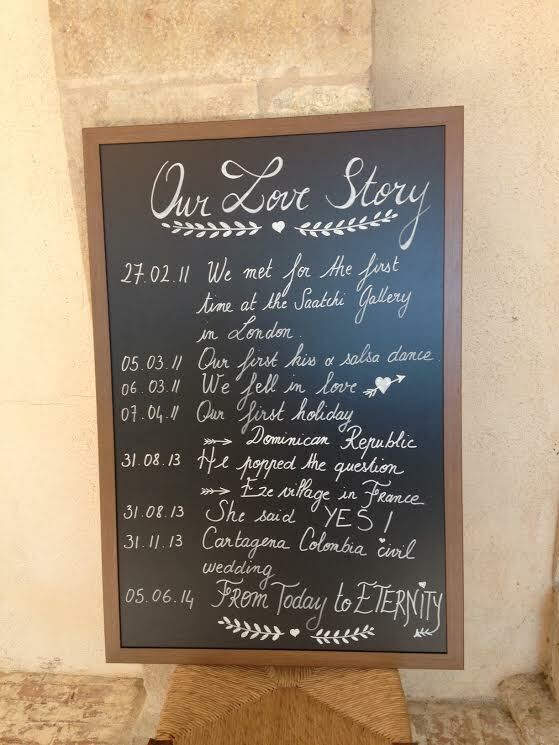 I do not have many pictures of this moment of joy, but I am sure you’ll like the chalkboard with the written love story of our couple. 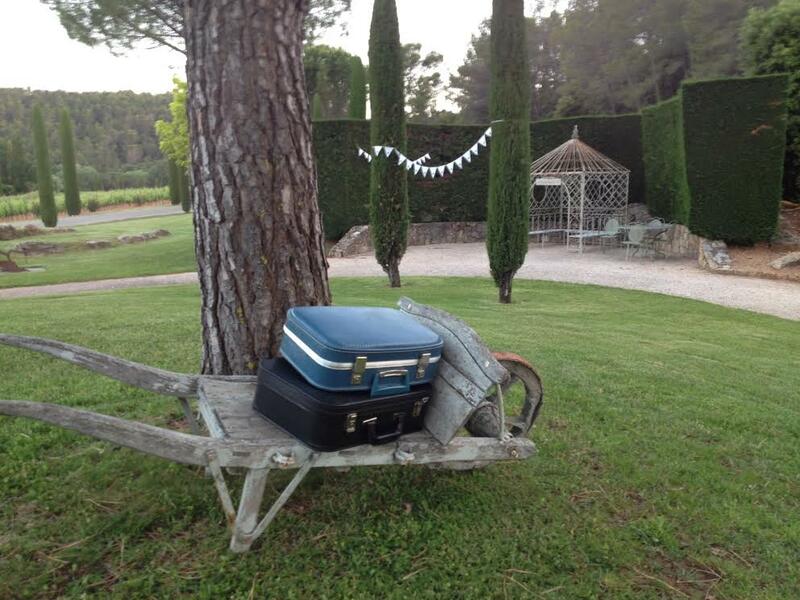 Right after the ceremony, guests came back to the wedding venue and discovered another area. 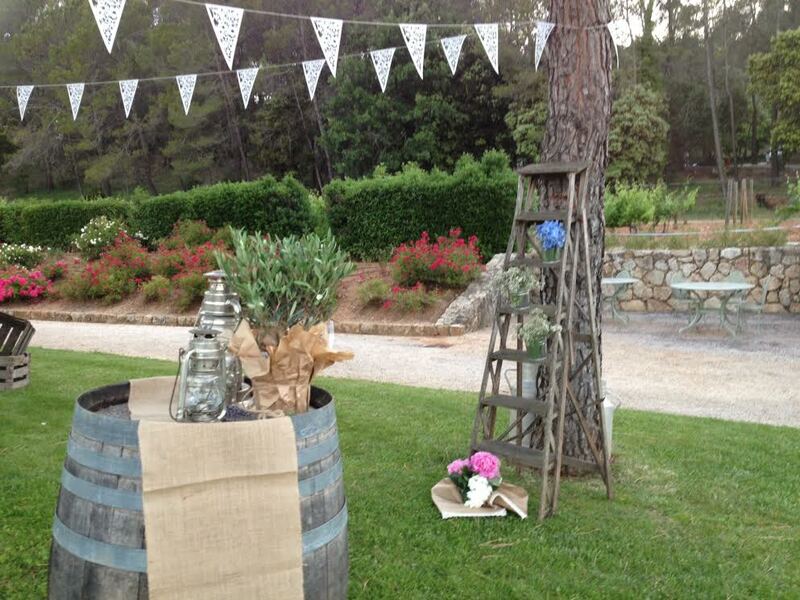 The decoration was totally vintage and we worked a lot to create this charming atmosphere. Thanks to a wonderful woman who loves decoration and secondhand-trade, we found amazing items such as an old bed, an ancient chandelier, a pale blue writing machine…If you are interested in some of these items, please do not hesitate to contact us. 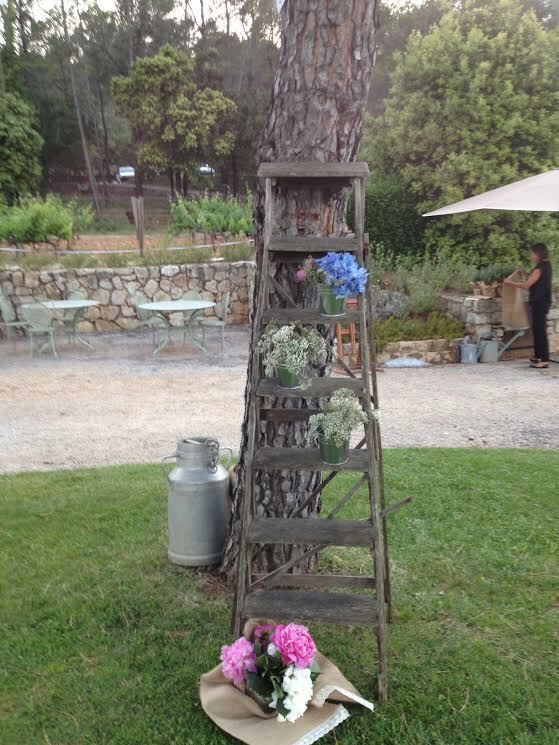 I let you enjoy our vintage wedding decor in Provence ! 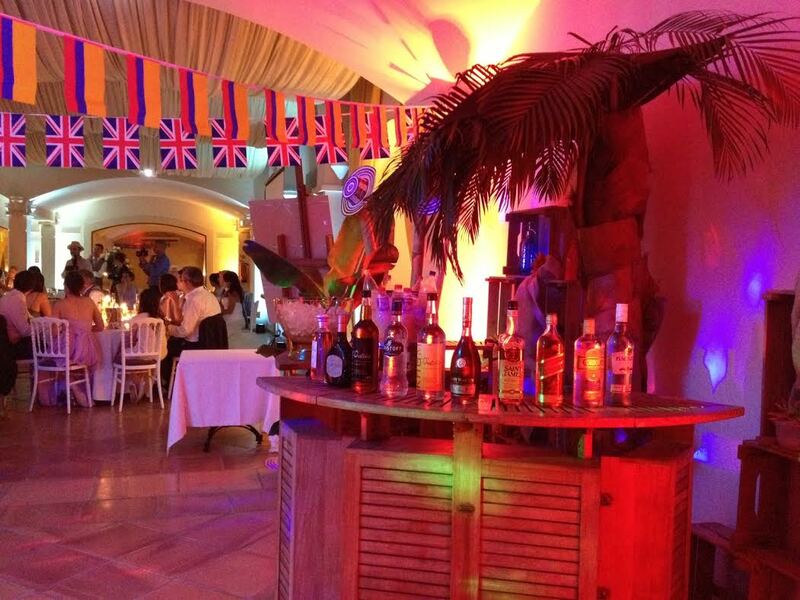 Last but not least, the bridal couple asked us to create a Latin club for the dancing part. 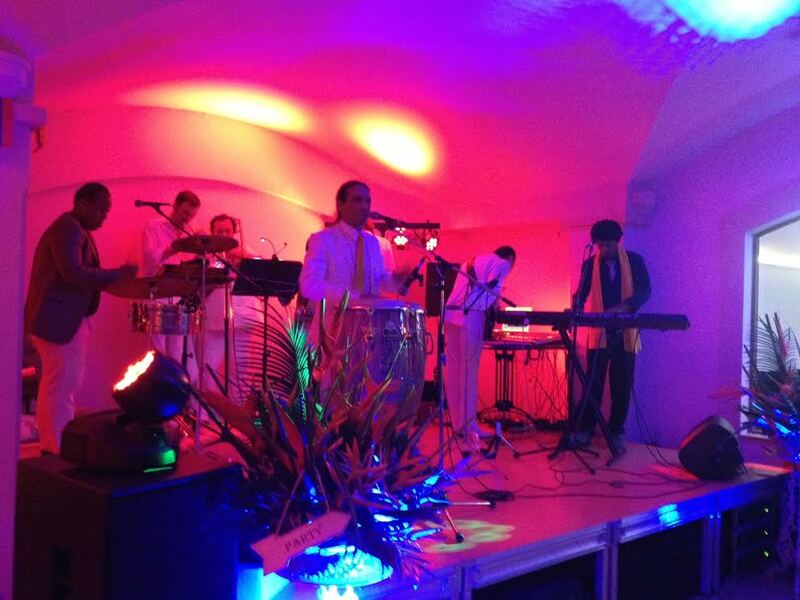 It was a real suprise for the guests as a huge curtain hide the decoration and the musicians during the whole diner. Have a quick look here !